- Identify and design mechanisms that recognise the multiple benefit that sustainable forest management and sustainable wood hade in communities, improving livelihood and cost-effective carbon sequestration and climate change mitigation. 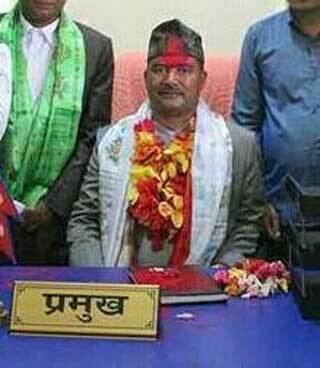 In the local election in Nepal 35 representatives of AFFON, the Nepalese member of IFFA, has been elected. More than half of them are women. 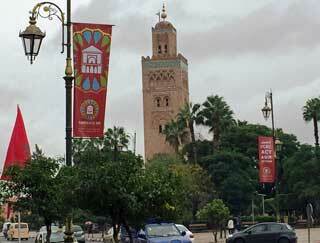 IFFA Participated in two RRI events in October. IFFA participated at the Rights and Resources conference “Reducing Unequally in a Turbulent World and RRI Global Scan. IFFA was present at the PEFC 2017 stakeholder dialogue in Helsinki 16 December 2017. IFFA representatives participated in different events during the certification week. IFFA represented family forestry, community forestry and indigenous peoples. IFFA Board member Pentti Linnamaa reported IFFA from the stakeholder dialogue. 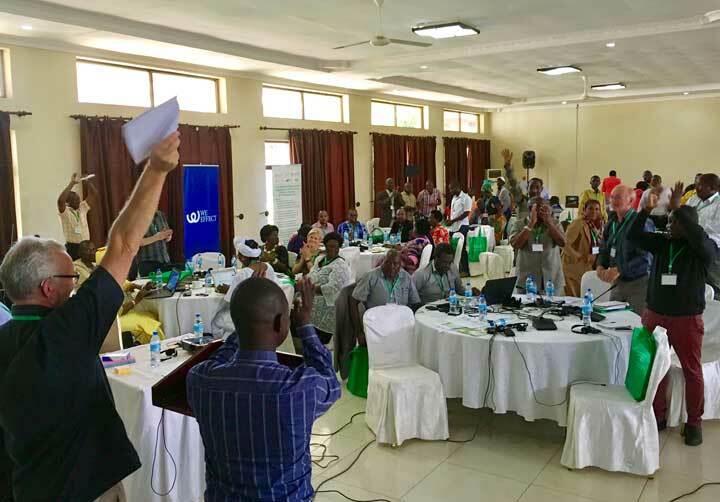 Second Pan-African forest and farm producer organisations conference on exchanging experiences on business, innovation, youth and gender took place in Morogoro, Tanzania 28-29th of September 2017. The Africa 2 Forest Producer organisation conference in Tanzania 28-19 September 2017 approved a declaration by acclamation. The declaration contains commitments by the participants and their call for action from governments and international partner organisations. Family forestry is not only the forest, but the people who lives in and lives of the forestry as well. 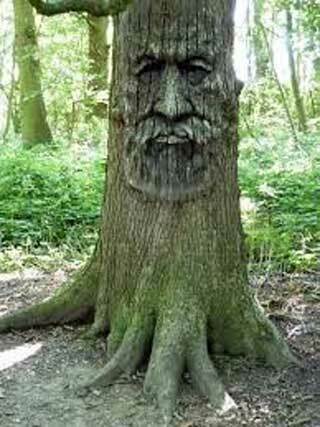 Behind every forest there is families and faces. IFFA will expose some of the faces in family forestry, community forestry and among indigenous peoples in order for others to better understand the vital combination of forest and peoples in and of the forest. At the 12th session of the United Nations Forum on Forests (INFF 12) IFFA was very active and more visible than ever before. At the end of UNFF 12 an omnibus resolution was adopted, as well as procedural resolution on the extension of the UNFF Bureau’s term-of-office for one to two years. Finland has harvested 4 billion cubic meters forest products in 70 years and the forest resources have increased more than 70 per cent at the same time. 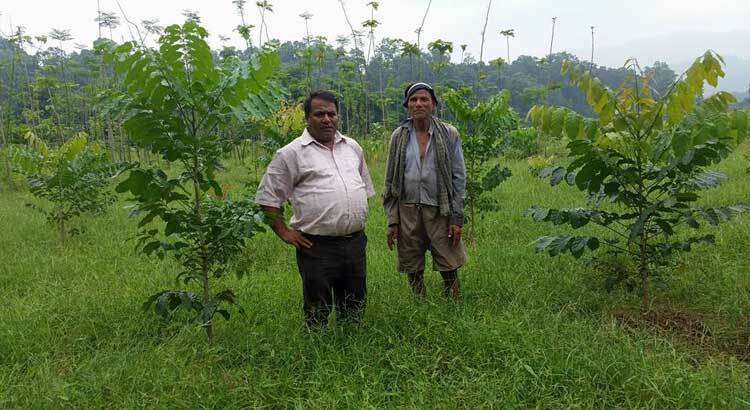 Is it a miracle – no it is sustainable forest management. 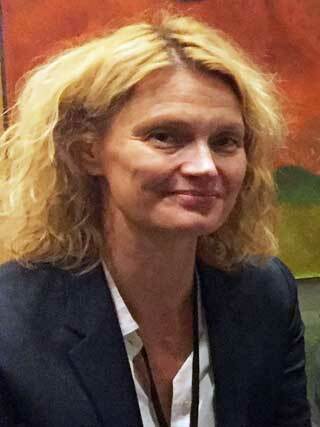 -Without women forests and society will only go on half speed, Satu-Marja Tenhiälä said when she presented the IFFA statement on food security and gender. 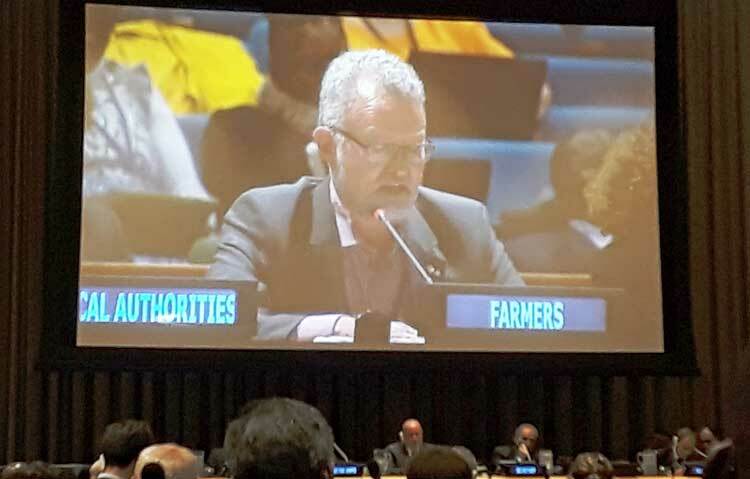 The importance of local producers where highlighted when Markku Aho, IFFA, delivered the Major Group statement on monitoring, assessment and reporting. 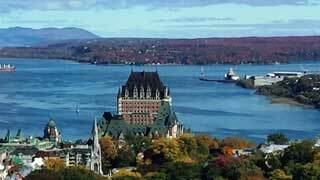 A Canadian video on forest and climate change is published at the video section of the IFFA web page. -I have always considered myself as an equal to men, and my daughter is able to be whatever she wants too, like her brother. -Rural people, smallholders and communities must be seen as actors, and organisations make them actors. 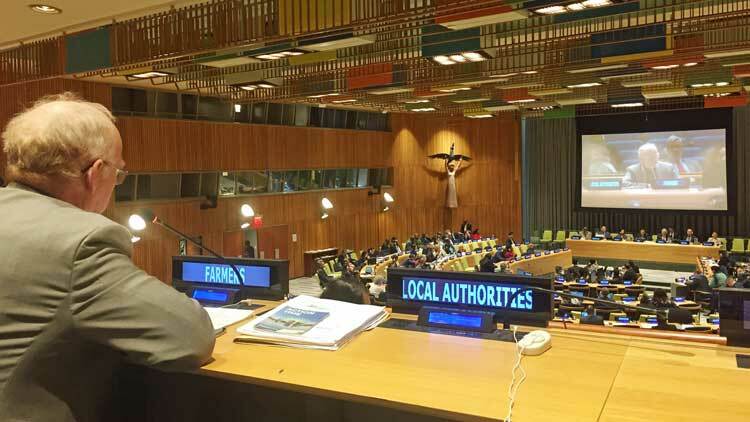 -Small forest landowners live in the world’s forests and are indispensable for the United Nations strategic plan for forests 2017-2030, stated IFFA in the opening statement of UNFF 12. What is the impact of sustainable forests for food security and nutrition? 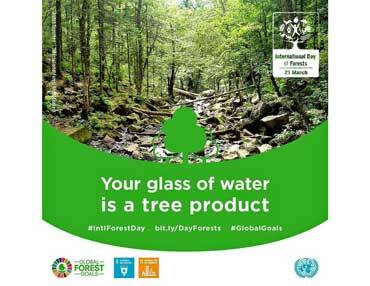 IFFA celebrates the International Day of Forest 21 March 2017 by underlining that that 2017 is the first year for implementing the 2030 agenda for sustainable development the Paris climate accord. The contribution of small holders cannot be underestimated. As UNFF Working Group and Special Session will be organised at the UN Headquarter in New York 16-20 January 2017. The IUCN web site has published a web story in the IFFA Asia Forest Producer Conference. The conference was supported by the Forest and Farm Facility partners IUCN, IIED and FAO. IFFA will participate in a meeting for developing global forest indicators. The indicators will be used in implementing sustainable development goals. PEFC announced a fantastic growth in certified forest area at the PEFC Forest Certification Week and General Assembly. The cooperative movement in relation to the Sustainable Development Goals was the theme of the 3rd International Summit of Cooperatives. Sustainable forest management will increase forest stock, product production and reduce CO2 emissions, says IFFA position for COP 22. The United Nations Forum on Forest (UNFF) is working on a strategy and indicators. IFFA ask our members for comments. Sustainable development goals and the Paris Climate agreement are two important developments IFFA highlights when celebrating the International Day of Forest. Association of Family Forest Owners Nepal had a successful meeting with the Nepalese Forest minister the 12 December 2015. 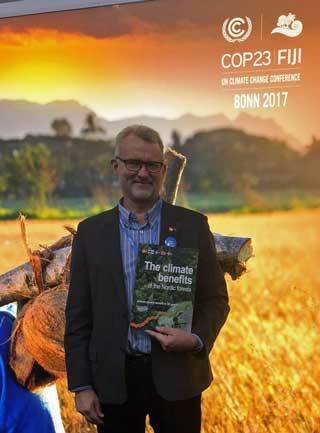 Forest, people and rights are in the center of the climate talks in Paris, reports the IFFA vice chair Lennart Ackzell. Forum Forêt became a great success when more than 450 participants gathered in Paris, France, 13 November 2015. The resolution from the Nairobi conference in June is now finalized. The resolutions sends a strong message to the World Forestry Congress. -The first Pan African Farm/Family Producer Organisations Conference was a real historic event and a success. -Forest producers request legal and institutional recognition, need to plant, care and product trees and sell forest products. The Nairobi conference field excursion took the conference participants to Central Kenya province, Muranga County. -It is time for a new paradigm shift and more focus on farm forestry, the Kenyan Minister Ms. Judy Wakhungu said at the opening of the Nairobi conference. 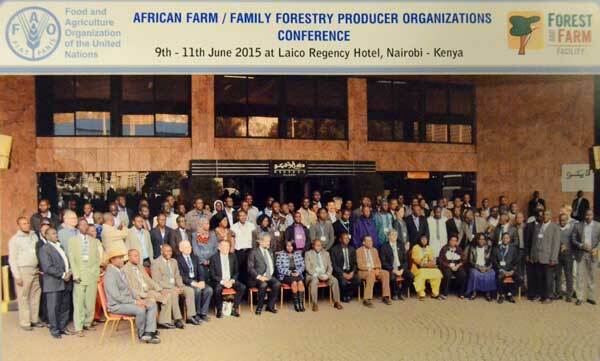 The African Forest Producer organisations Conference was opened Tuesday by Peter deMarsh and Geoffrey Wanyama. A background paper was presented the first day of the Africa conference. Enhanced participation from stakeholders will strengthen Global forest policy forum. IFFA (the International Family Forestry Alliance) participate actively in the preparations of the World Forestry Congress. Farm and Family wood producer organisations were at the center during the “High Level Segment” at UNFF 11. 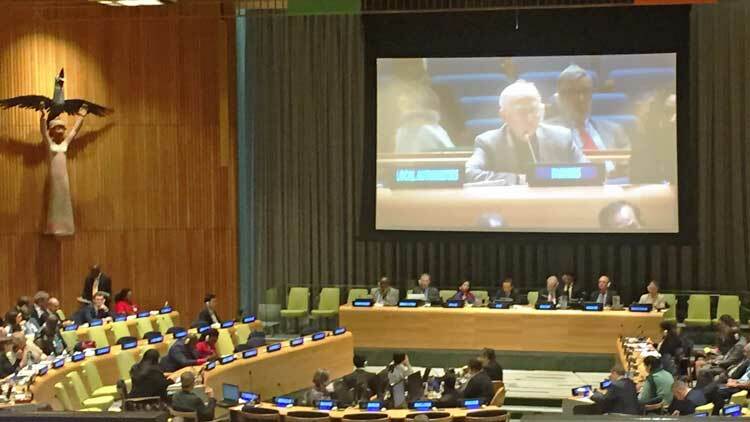 IFFA and our partners were strongly present at the 11th session of United Nations Forum on Forest (UNFF11) in New York in 4 – 15 May 2015. The terrible Earthquake in Nepal hit severely the country including the Association of Family Forestry Owners Nepal (AFFON) and the G3 partner FECOFUN in the CACF Alliance. PEFC will organise a small holder event at the World Forestry Congress in Durban. The Bureau of UNFF 11 has released a draft elaborating on turning UNFF into UN Forest Assembly. IFFA Celebrate the Family Forest Contribution to Sustainable Forest Management on the International Day of Forests, Saturday the 21st of March. IFFA at Forest Connect in Vietnam. The 4th International Forest Connect Workshop was held in Vietnam 15-18th of January 2015 with participants from 20 countries. Sustainable competitiveness, wellbeing and the forest contribution to this end was discussed at the Barcelona Bio Economy Forum in November 2014. -In less than two decades PEFC has grown to be the world’s largest source of eco-certified forest products. 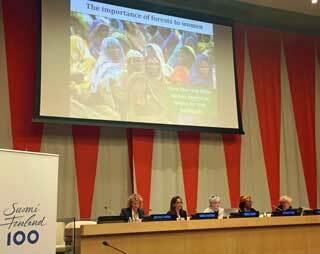 The World Food Day was celebrated in Sweden in October and IFFA and the Forest and Farm Facility was on the program. The importance of general land tenure and community rights was highlighted in a RRI seminar in Gothenburg, Sweden. IFFA participated at an international dialogue on Food, Fuel, Fibre and Forestry (4F:s) in Finland in the beginning of September. IFFA congratulates our chair Peter deMarsh for his work with the publication “Making Change Happen. Six ways to help forest and farm producer organisations to be more effective, find out more. The International Family Forestry Alliance is member of the Advisory Committee for next World Forestry Congress (WFC) which will be organised in September next year. FAO has published a roadmap for boosting small-scale and family forest producers. The roadmap was launched together with a publication on strengthening organisations. From a Northern perspective, "a farm" implies almost by necessity forest. Until very recently this was a matter of farm income over the seasons, says IFFA vice-chair Lennart Ackzell, Sweden. Two members from IFFA and one from GACF are now in the steering committee of The Forest Dialogue (TFD) and participated in the 4Fs dialogue in Indonesia in March. 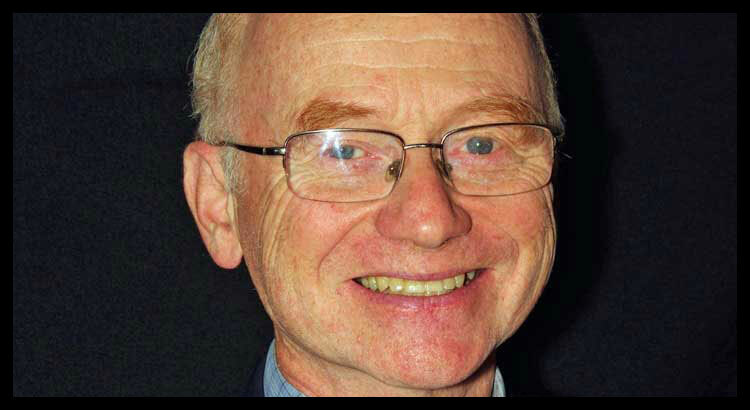 IFFA Chair Peter deMarsh is co-author of a FAO publication on strengthening forest producer organisations. 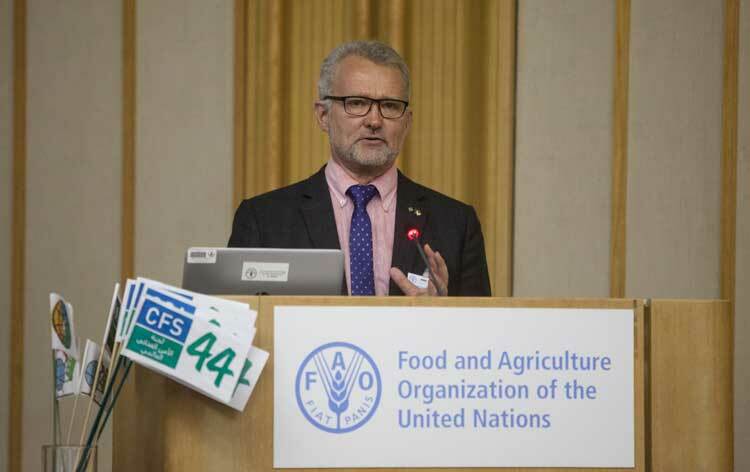 FAO has published a new edition of their newsletter Infosylva with a report from COFO 22. IFFA spoke in plenary and the voice of family forestry and local producers was heard at the COFO 22 meeting in Rome in June. IFFA was expressly welcomed at the 55th session at the FAO Advisory Committee on sustainable forest-based industries (ACSFI) in St. Petersburg, Russia, 10-11 June 2014. During one week INFOR, the Chilean Forest Institute, organized four seminars where IFFA presented forest producer organisations. The progress of the PEFC Group Certification Pilot projects was reported at the Annual Meeting 2013 of the International Family Forestry Alliance (IFFA) in Rovaniemi 11th December 2013. An unprecedented international conference was organised in Guilin, China, where the International Family Forestry Alliance, IFFA, was highly visible. IFFA was present at the PEFC forest certification week hosted by the Malaysian Timber Certification Council (MTCC) 11th to 15th November 2013. PEFC will organise its stakeholder dialogue 2013 in Kuala Lumpur, Malaysia, the 14th and the 15th November. Six new projects have received funding from the PEFC’s Collaboration Fund. 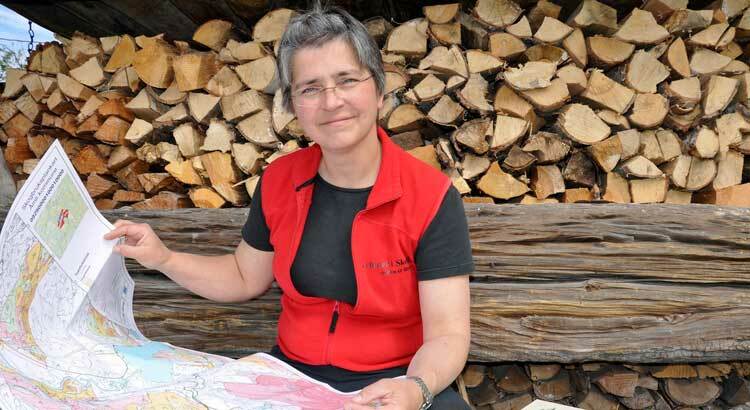 The European Forest Institute (EFI) celebrates its 20 year anniversary by a conference in France. IFFA participated in the final negotiations regarding an European Forest Convention. The negotiation will resume in November 2013. - REDD+ efforts in Indonesia must include locally control forestry, family and community based forestry with land rights and legal access to markets. IFFA has made an analysis of the outcome of UNFF10. The Forest & Farm Facility is successfully launched in five pilot countries. At UNFF 10 in Istanbul IFFA was present. 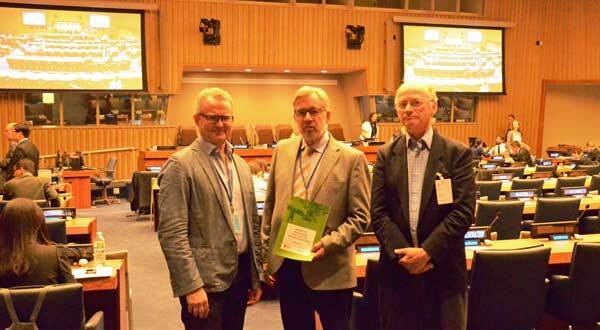 Peter deMarsh, Janne Näräkkä and Lennart Ackzell participated in the plenary session Multi Stakeholder Dialogue and in several side events. 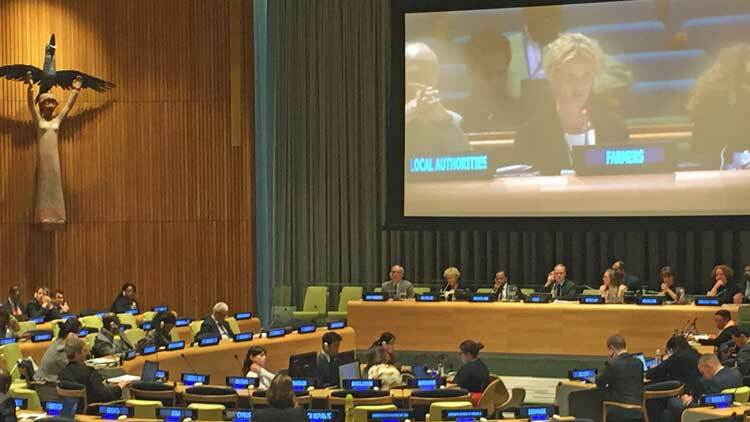 - Local community rights, education and access are among the most important conditions that must be in place, the IFFA president, Peter DeMarsh noted at United Nations Forum on Forest. Forest tenure reform is a cornerstone for decentralised forestry that involves local families in management of forest, IFFA proclaims on The International Day of Forest. At the World Summit in Stockholm, IFFA pointed at the great potential of local and decentralised forestry. UNFF Major Groups Initiative meeting will be organised in Rio de Janeiro, Brazil, 18-22 March 2013. Forest Europe has published a draft report on governance and law enforcement. 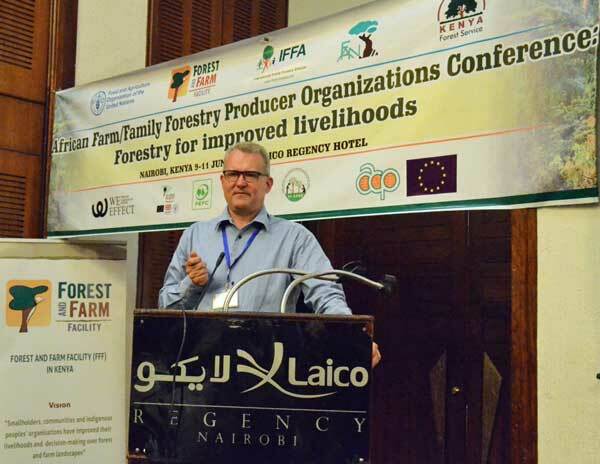 Producer groups contribute significantly to enhancing livelihood, the IFFA president underlined at Forest Connect meeting. The discussion paper for the multi-stakeholder dialog of UNFF10 points at the rights of family forestry and fair market access. IIED has published a guide to investing in locally controlled forestry. G3 has participated in the development. IIED has published a booklet on Investment in locally controlled forestry, in association with the Three Rights Holders Group (G3). 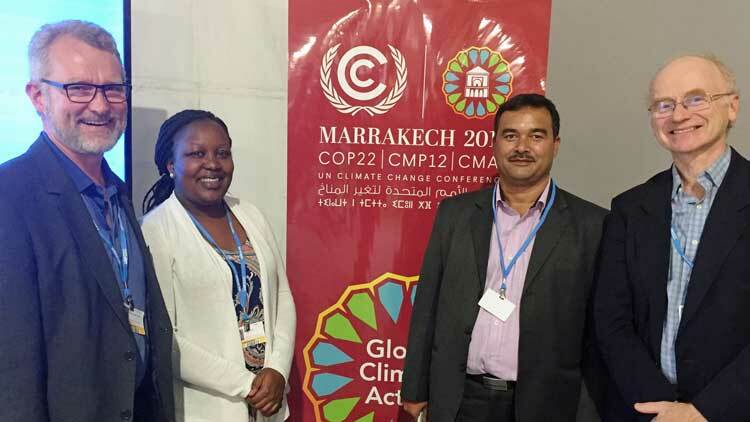 At the Climate Change negotiations COP18, IFFA were present. IFFA worked together with PEFC with whom we had a booth at the Forest Day 6. At the 6th Forest Day in Doha, Qatar, the Right Holders group (G3) met to discuss latest developments of common concerns. The 3rd International Congress on planted forest will be organised 16-21 May 2013. IFFA talked about land tenure and presented Locally Controlled Forestry at the National Assembly in Laos in August 2012. Forestry important in Green Economy! Forestry as an important part of Green Economy was solidly manifested when IFFA and G3 took an active part in the Rio+20 Conference. Fair Ideas is a major conference in Rio de Janeiro on 16-17 June. The 9th Forest Dialogue on investment in Locally Controlled Forestry was organized in Sweden 16 – 19th April 2012. 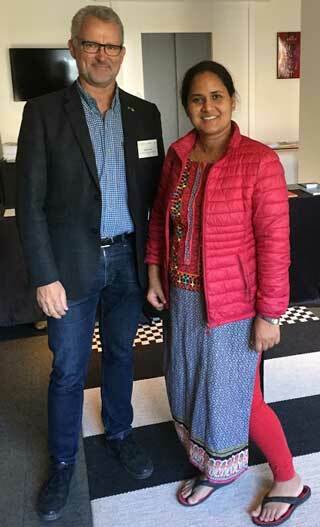 Lennart Ackzell from IFFA has made a picture report from the Durban climate conference. The Forest Day 5 on the 4th of December was a success. The G3 Alliances, GACF, IAITPTF and IFFA are very active at the Durban climate conference in South Africa, the UNFCCC COP 17. The participants in the G3 planning meeting and the IFA annual meeting visited the large Austrofoma exhibition in Graz 12th October 2011. Clint Bentz from the American Forest Foundation presented the Ties to the Land program as a special event at the IFFA annual meeting in Graz 11th October 2011. Peter deMarsh and Ivar Legallais-Korsbakken from IFFA where among the speakers at the Forest Economic Conference in Stift Rhein Austria. PEFC invite all interested parties to provide feedback on requirements for sustainable management of tropical natural forest. During the Forest Tenure conference in Lombok, the Indonesian government announced new commitment to community rights, RRI reports. The Forest Dialogue, TFD, publish three REDD readiness reports that summaries experiences from Cambodia, Ecuador and Guatemala. New studies suggest that lack of meaningful land rights play a key role in conflicts and increase carbon emissions, RRI reports. The June edition of the Newsletter from the FAO based National Forest Programme Facility highlights Forest investment in Emerging Market. Family Forestry was invited to speak in plenary at the opening of the Forest Europe Conference in Oslo. The Norwegian forest Minister visited the Growing Forest Partnership and the G3 stand at the Ministerial Forest Europe Conference in Oslo 14th to 16th June 2011. Need for smallholder cooperation and establishment of “national committees” were some of the outcomes of a sum-up seminar in Kenya in late May 2011. Rights and Resources Initiative, RRI, organises two dialogues on forests, governance and climate change in September and October 2011. G3 representative took part in a “writing dialogue” on Investment in Locally Controlled Forestry in London 5th and 6th April 2011. The forest area in Europe, North America, Caucasus and Central Asia has been steadily increasing since 1990. Side event at Burgos symposium The Three Rights Holders Group together with USSE will organise a side event at the Global Forum of the International Model Forest Network in Burgos, Spain, Monday 21st March 2011. The European Commission has published a study of market supply from areas with small forest holdings. Tim Cadman has published a report on the Quality and legitimacy of global governance. The Growing Forest Partnership has published a newsletter containing information about the Three Rights Holders Group and Locally Controlled Forestry. 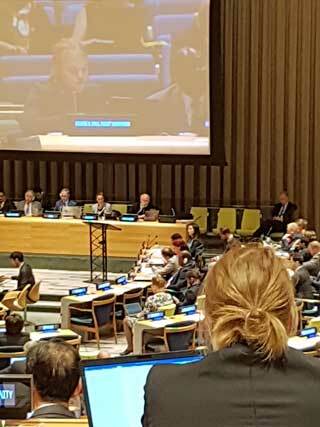 The multi stakeholder dialogue with the Major Groups was the best seen in UNFF, reports Lennart Ackzell in his picture report from UNFF9. At the end of the 9th session of United Nations Forum on Forests the Major Groups were invited to Rio in May 2012. At UNFF9, on its very last day IFFA had a second Side-event on Growing Forest Partnership collaboration and on group certification. The Ministerial high level segment of the UNFF 9 launched the International Year of Forests 2011 at the opening on Tuesday 2nd February2011. “Sustainability through organised small holders and local control” will be the theme for the G3 side event at UNFF 9 in New York Friday 4th February 2011. During the International Year of Forests 2011 IFFA want to communicate five strong messages. The Major Stakeholder Dialogue was held the third day of UNFF 9 and the IFFA and G3 views were presented. Already the first day of United Nations Forum on Forest session 9 IFFA and G3 held a side event. At the UN Climate Change meeting in December 2010 in Cancun, Mexico, IFFA was present. Forest issues were high on the negotiating agenda. G3 were present at an information booth in Cancun. The booth was hosted by GACF. All the three G3 Alliances participated as presenters and moderators in the PEFC stakeholder dialogue in Brazil. Sustainable use is conservation at heart, was the strong message sent by Philipp von und zu Gutenberg, on behalf of IFFA and the G3 Alliances at the biological diversity summit COP 10 in Nagoya, Japan 20th October 2010. At the FAO COFO meeting in Rome Lennart Ackzell, presented, on behalf of IFFA, the global partnership between the Three Rights Holders Group and the cooperation with the Growing Forest Partnership. The European Forest owners support a legally binding European forest policy. This may have impact on the global forest policy. CIFOR, the Center for International Forestry Research, launch a newsletter of “Insight – Forest and Climate Change”. The COFO 2010 session in Rome from 4-8 October 2010 can be followed by entering into the IISD coverage. An Intergovernmental ad hoc expert group on forest financing and officials from the United Nations Forum of Forest (UNFF) met in Nairobi, Kenya, 13-17 September 2010. Swedish International Development Cooperation agency, SIDA, will support sustainable forest development with around 250 million dollars in the four years. A summary of the UNFF Major Group survey is now ready. A new edition of the Growing Forest Partnership, GFP, Newsletter is now available. Finnish funding and advisory service support a new forestry strategy in Vietnam that will enable family forestry to play an important role in Vietnamese forestry in the future. Nordic Development Fund is a fund that could be of interest for IFFA and the Three Rights Holders Group, G3, Alliances. On-far tree growing is increasing rapidly in the Amhara region in Ethiopia. Major drivers are the market conditions, the land tenure process and advice from Finnish family forest organisations. The major groups of stakeholders are preparing joint documents to be presented at UNFF 9. 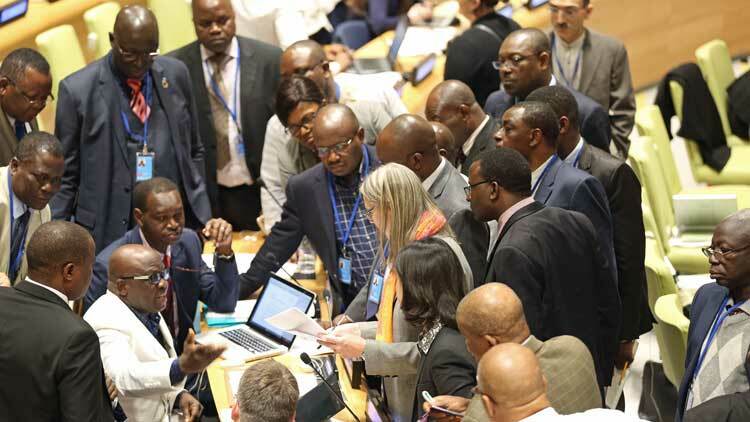 During the UNFF major Group meeting in Ghana in July The Three Rights Holders Group made tentative plans for the International Year of Forests. The G3 Alliances were present at the UNFF Major Group preparation meeting in Ghana. A Workshop on Forest governance, decentralisation and REDD+ produces a summary report including recommendations to countries and UNFF9. 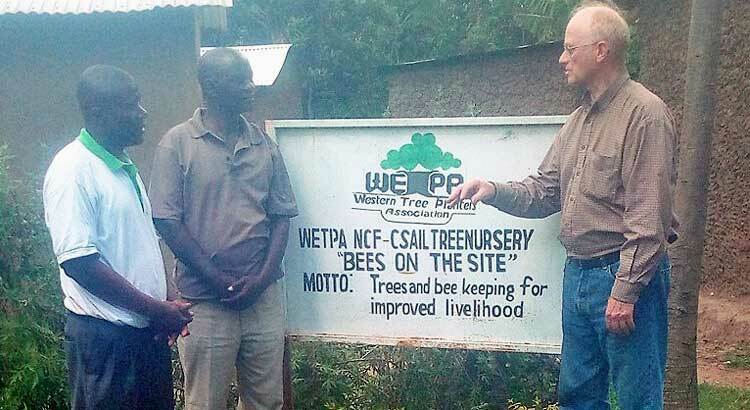 The Swedish Federation of Family Forest Owners together with Swedish Cooperative Centre has initiated an initiative to support emerging forest owner organisations in Kenya. The IFFA Board ask for member contributions to an IFFA biodiversity brochure. The PEFC stakeholder forum on “Advancing certification in the Tropics” will be held in Rio de Janeiro, Brazil Wednesday the 10th November 2010, the day after the IFFA annual meeting. The Forests Dialogue (TFD) has recently released the summary report from their Ghana dialogue on REDD-plus Readiness. G3 representatives were present when the report was presented I Ghana. Investors met the Three Rights Holders Groups, the G3 network, and other stakeholders in the meeting organised by the Forest Dialogue in London 24 -25th May 2010. The dialogue was very positive and brought the concept of Investment in Locally Controlled Forestry further. 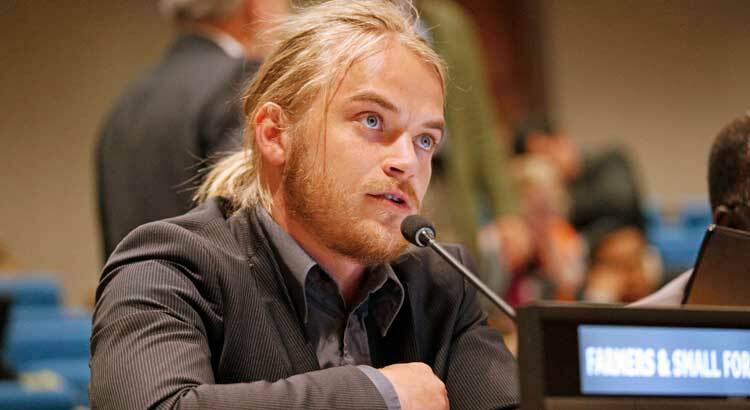 In the last week of April 2010, IFFA was represented by Lennart Ackzell at African Forest Forum's Workshop in Zambia. 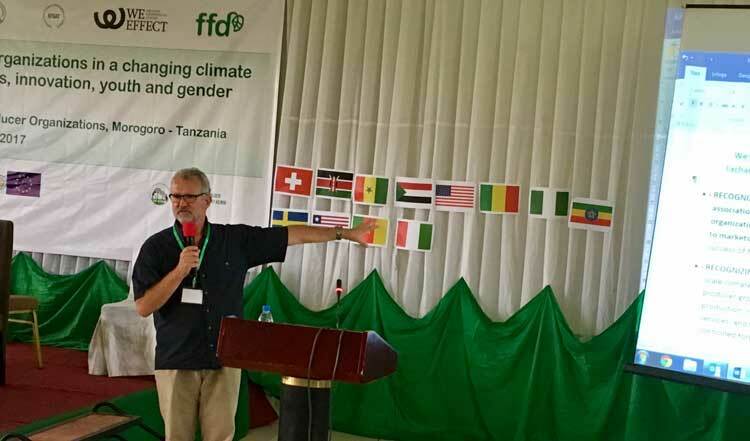 The Three Rights Holders Group, G3, got good attention at the CIFOR conference in Montpellier, France, Lennart Ackzell reports. The International Family Forestry Alliance, IFFA, together with our partners in the Three Rights Holders Group, G3, where present at the CIFOR conference in Montpellier, France, and presented a paper and a poster. Presenting sustainable forest management as a key to secure forest production and biological values, and organisations as the key to sustainable management was the main message in the paper presented from the Three Rights Holders Group, G3, at the CIFOR conference in Montpellier 24-26th March 2010. Representatives from the Three Rights Holder Groups were present at the United Nations meeting in Guilin, China, 17th to 20th November 2009. The four prerequisites for successful involvement of local people was presented and appreciated. A joint position between forest owners and industry on climate change is drafted. Members’ comments are welcome. IFFA was present at the Second Dialogue on REDD Finance Mechanisms in Montreux, Switzerland, 19-20 June 2009. The Forest Dialogue, TFD, arranged the dialogue meeting. Forest owners, community forestry and indigenous people aim at having a joint position at the World Forestry Congress in Buenos Aires in Argentina 18-23 October 2009. This may be the first presentation of the new “Small forest holders network”. Forest owners and industry expect the PEFC standard revision to give priority to forest actors, respect for knowledge and experience, cost effective system suited to all sizes of forest holdings and the whole value chain, reject a chamber system, promote growth and build on existing systems. The International Family Forestry Alliance, IFFA, is present at the United Nations Forum on Forest that opened in New York Monday 20 April 2009. Janne Näräkkä from Finland is representing IFFA. The International Family Forestry Alliance, IFFA, has together with The Global Alliance of Community Forestry submitted a discussion paper to the upcoming session 8 of the United Nations Forum on Forest, UNFF 8. The IFFA Board has asked the IFFA policy task force to prepare a statement targeting the COP 9 meeting of the Convention on Biological Diversity CBD) in Bonn in May 2008. The International Family Forestry Alliance, IFFA, will offer support in developing the World Bank’s new Global Forest Partnership. Committed work for sustainable development is the mot important task of the World Bank’s new Global Forest Partnership, wrights IFFA in its contribution to the consultation. 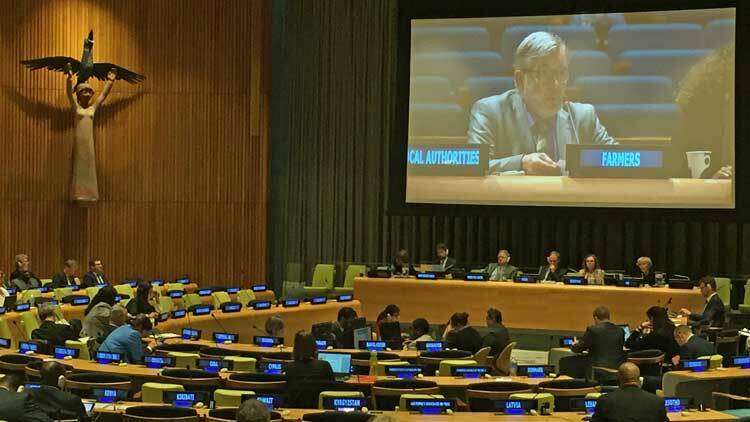 The forest owners’ represented by IFFA took part in the Major Groups stakeholder dialogue in the United Nations Forum on Forest, UNFF7, in New York. The Forest owners focused on sustainable forest management and certification. 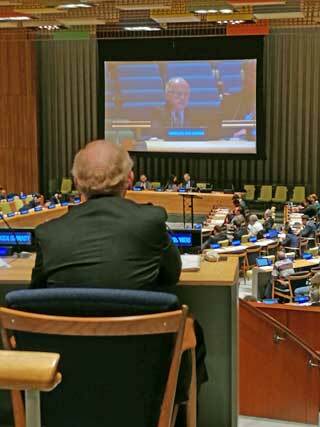 The joint IFFA and GACF side event at the UNFF7 in New York was a success. Decision makers and stakeholders where presented the organisations and their positions. The interest and the active discussions show the recognition of family and community forestry. The final version of the joint GACF and IFFA positions addressing UNFF are ready. The Global Alliance of Community Forestry (GACF) and the International Family Forestry Alliance (IFFA) will present these positions at the New York meeting of United Nations Forum on Forest the 16 and 18 April 2007. A draft position on Multi Year Program of Work, addressing the meeting in April 2007 of the United Nations Forum on Forest in now posted for comments on the IFFA web site. The draft is a joint position from the Global Alliance of Community Forestry, GACF, and the International Alliance of Family Forestry, IFFA. The Forestry Policy Task Force have redrafted de joint positions from the Global Community Forestry Alliance, GACF, and the International Family Forestry Alliance, IFFA, addressing the upcoming meeting in the United Nations Forum on Forest, UNFF7, in New York in Mid April 2007. In order to address one of the main issues at the upcoming meeting of United Nations Forum on Forest, UNFF7, in New York in April 2007, the Global Alliance of Community Forestry, GACF, and the International Alliance of Family Forestry, IFFA, have drafted joint position on so called Non-Legally Binding Instrument. The joint family forestry and community forestry side event during the UN Forum on forest meeting (UNFF7) will take place Monday 23 April 2007 at 13.15, in the UN Building in New York. The International Family Forestry Alliance, IFFA, fully supports the FAO initiative to undergo a strategic review of its forestry priorities and work activities. IFFA supports shaping an Action Programme for FAO in Forestry. IFFA states this in a position paper to be presented at the 18th Session of the FAO Committee on Forestry (COFO) in Rome 13 – 16 March 2007. There has been a very fruitful cooperation between CEPF and IFFA and the Board of IFFA would like to continue the close cooperation to the mutual benefit of the organisations. On behalf of IFFA the vice chair of IFFA, Ivar Legallais-Korsbakken, writes this in a letter to the new general secretary of CEPF, Ms Birte Schmetjen. Several thousand representatives from governments, organisations and industry meet in Nairobi for the 12th conference of the parties (COP 12) under the climate change convention. The Board of IFFA appointed at policy task force at the teleconference Board meeting 11 October 2006. The appointed task force is Natalie Hufnagl, Germany, Lea Jylhä, Finland, and Linda Hedlund, Sweden. The Forest sector offers highly needed benefits in a modern society and represents resources and positive values for the future. The best way of promoting sustainable forest management is through family forestry, Ivar Korsbakken, the vice chair of IFFA, said at the opening of the 5th Forestry Congress in Helsinki 7. September 2006. The Annual meeting of the International Family Forestry Alliance, IFFA, discussed in New York 25 May 2005 the IFFA proposal of partnership with the World Bank. 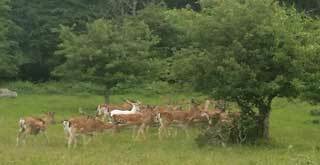 The annual meeting found the Wold Bank forest strategies in line with the IFFA strategies. The International Family Forestry Alliance has published a position paper targeting the United Nations Forum on Forest meeting (UNFF5) in New York in May 2005. IFFA commits itself to support UNFF and the support of both international and regional forest policy processes. The International Family Forestry Alliance, IFFA, has formed a position paper to be presented at the United Nations Forum on Forest meeting (UNFF4) to be held in Geneva in May 2004. The core messages in the position paper are the respect for land tenure rights and the importance of viable economic conditions in forestry. The International Family Forestry Alliance se the values of family forestry perfectly in line with the main goals addressed at the World Forestry Congress held in Quebec, Canada, in September 2003. IFFA has produced a position paper demonstrating that the priorities of family forestry will contribute to the challenges facing the world’s forests. The International Family Forestry Alliance approaches the meeting of United Nations Forum on Forest in Geneva, Switzerland, with a position paper focusing on economic viability and property rights. The international Family Forestry Alliance, IFFA, pointed at the legacy from the Rio summit when addressing the World Summit on Sustainable Development held in Johannesburg, South Africa, in August and September 2002. IFFA presented a position paper outlining the way forward to achieve sustainable development by promoting sustainable forest management.